With Barnsley having lost this morning, our game this afternoon against Sheffield United gave us the opportunity to move within one place of the Tykes as we look to get away from the bottom of the league, but it was a frustrating afternoon in a game of few chances. It was, however, a game we really shouldn’t have lost but the one positive for us was a return to action for Jon Walters who played the full ninety minutes in what was his first football since Boxing Day when he came on as a substitute at Manchester United for Ashley Barnes. Other than Walters, the team, captained by goalkeeper Conor Mitchell, was made up of young players and a couple of trialists. Teddy Perkins, from Leyton Orient, had played in Monday’s win against QPR whilst Newcastle midfielder Mace Goodridge got a game having been an unused substitute four days ago. Tyler Smith had an early opportunity for the Blades but, other than that, Burnley were by far the more likely in the first half. We probably didn’t create as many chances as we might have liked but we should have expected to have been in front by half time. The best opportunity came the way of Tinashe Chakwana who got to a right wing cross from Walters but saw his header go just over the bar. It was similar at the start of the second half but then, and totally unexpectedly, the home side took the lead when Smith was able to score from close range following a corner. Walters had, in the main, been quiet but his chance was to come soon after the goal. Again it was a right wing cross that he got on the end of but his header went just wide of the far post. Michael Duff threw on Ntumba Massanka in the search for an equaliser but it was Sheffield United who came closest with Mitchell making an outstanding double save to keep them out. By the final whistle there was little coming from us and it was the Blades who took the points. We are next in action next Friday afternoon with a home game against Crewe at Turf Moor. Sheffield United: Jake Eastwood, William Portman, Stephen Mallon, George Cantrill, Jordan Doherty, Callum Semple, Harvey Gilmour, Regan Slater, Tyler Smith, Simeon Oure, David Parkhouse. Subs: George Broadbent, Tom Weaver, Harrison Neal, Isaac Hutchinson, Marcus Dewhurst. 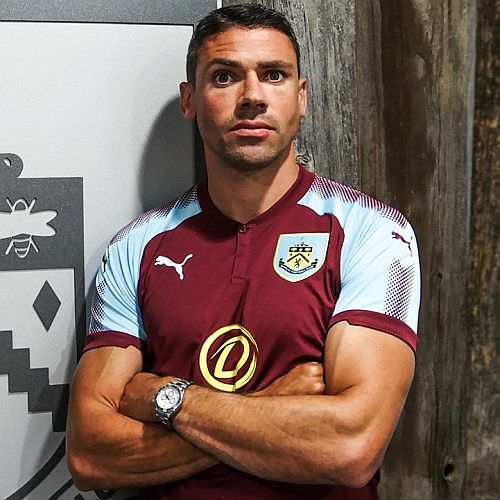 Burnley: Conor Mitchell, Jordan Cropper (Arlen Birch 79), Teddy Perkins, Oliver Younger, Ali Koiki, Tunde Bayode, Mace Goodridge, Rahis Nabi, Dwight McNeil, Tinashe Chakwana (Ntumba Massanka 68), Jon Walters. Subs not used: Aidan Stone, Christian N’Guessan, Brad Jackson.